Peter Pan is a familiar tale to many who have been enchanted by the adventures of the boy who wouldn't grow up. In this graphic novel Stephen White goes back to the very heart of Barrie's original tale to create a story that is dark, magical, charming and authentic. The complexity of Barrie's original is drawn out in vibrant illustrations and engaging text to create a new vision of the tale for those familiar with it and to enchant a new generation of readers.The stunning illustrations draw on original, authentic features from the locations that inspired Barrie to write his tale including Moat Brae House in Dumfries and the garden where he played as a boy. 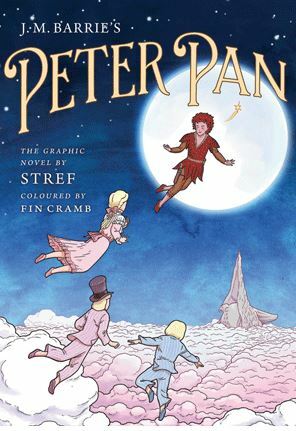 In choosing the format of a graphic novel for this retelling, Stephen White has created a new and exciting version of Peter Pan that is like nothing that has been done before.